Unfortunately, I can’t post every single design I make on my website, because I make so many designs. I’ve tried to include a few that I think are representative of my ability though. My supervisor returned from his vacation, so I will be moving on from Features in the near future, it seems. Right now though, I’ve had the amazing opportunity to talk with Jonathon Berlin, a graphics editor at the Tribune who has gotten me very interested in a certain type of coding for journalism websites. These past few weeks, I’ve been able to talk to Gerry Kern, the editor of the Tribune, and various other high-up journalists who have been able to offer me great advice. To end this update, here are some examples of my designs. You can check them all out under the “My Designs” tab up top! Hey there! Thanks for sticking around — to reward you, I have many many updates. First of all, I’ve been embedded in the Features section for these past two weeks, which includes the Home, Garden, Autos, Health, Pharmacy, and many more sections. 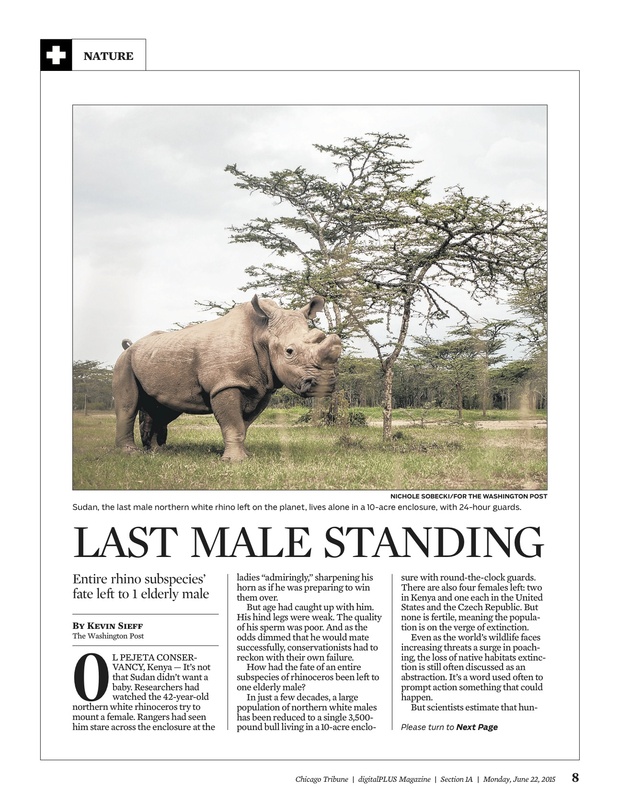 It’s been crazy getting my designs published by the Chicago Tribune. I couldn’t ask for more. I’ve also recently taken on the responsibility of designing the Weather page, on the days that I’m working. I’ve designed the Weather page three times (after today) and even though it’s hard to really mess it up, it still always feels like a big undertaking! The Weather page is consistently one of the most popular pages of the newspaper. 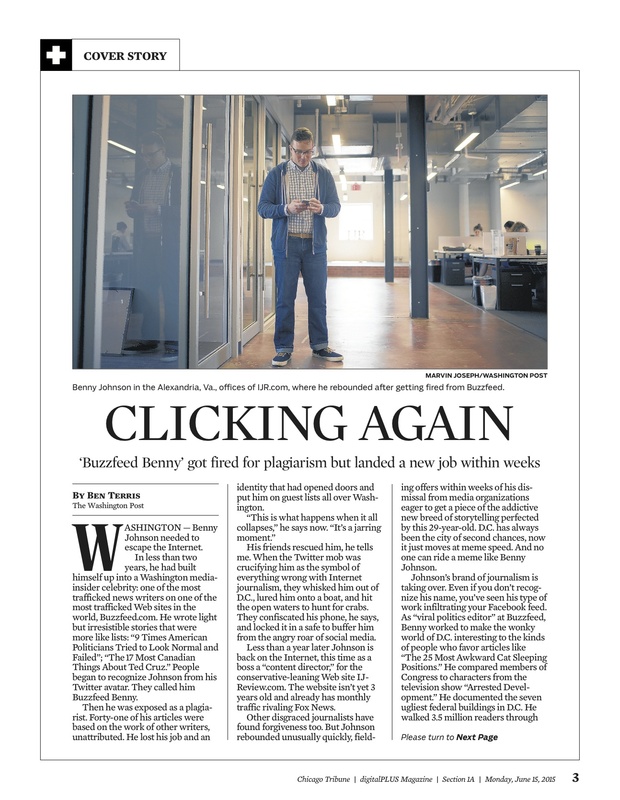 I’ve met three amazing coworkers here in the Features section, and they’ve taken me under their wings, helping me grow as a journalist and a designer in general. It’s actually a really cool thing to be mentored by real Chicago Tribune designers — and I’m going to be meeting more and more as I move throughout the sections! 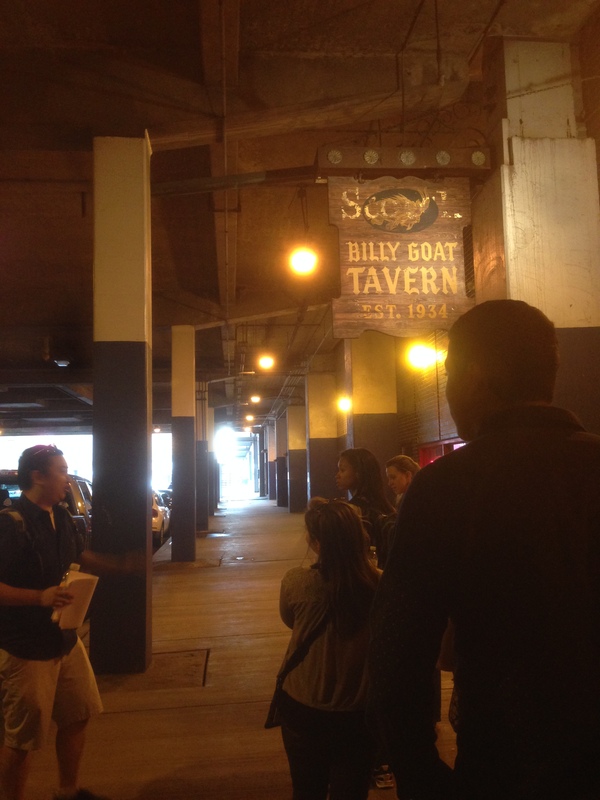 So yesterday, the Chicago Tribune interns all had their first social day! We were led by Kevin Pang, one of the restaurant reviewers for the Tribune, who interned in 2003. It was really fun day, even though being around so many people all day pretty much took it out of me by the end. 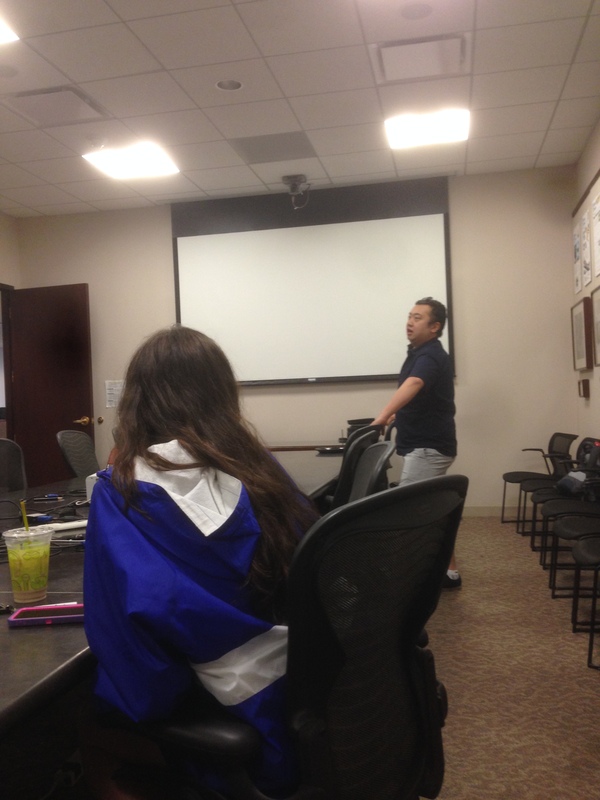 Kevin Pang sat us down to talk journalism and careers and to break the ice. 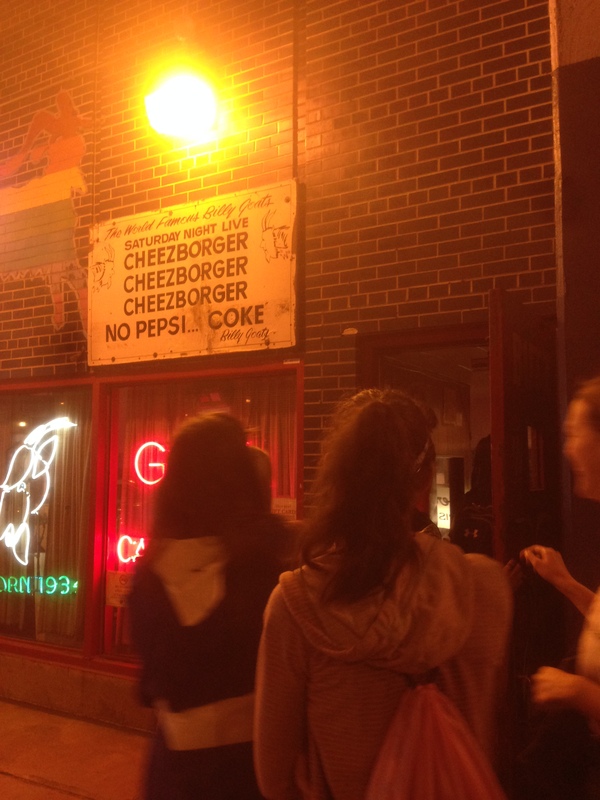 We went to the Billy Goat Tavern! Apparently, when the Chicago Sun-Times was still right across the river from the Tribune, all the journalists from both newspapers used to meet here halfway for dinner after work. So much history. The food was ok.
Oh, and the Tavern was also the setting of an SNL skit (I think). Cheeborger! No Pepsi — Coke! We transformed from Chicago natives working on Michigan Ave to tourists for two hours. 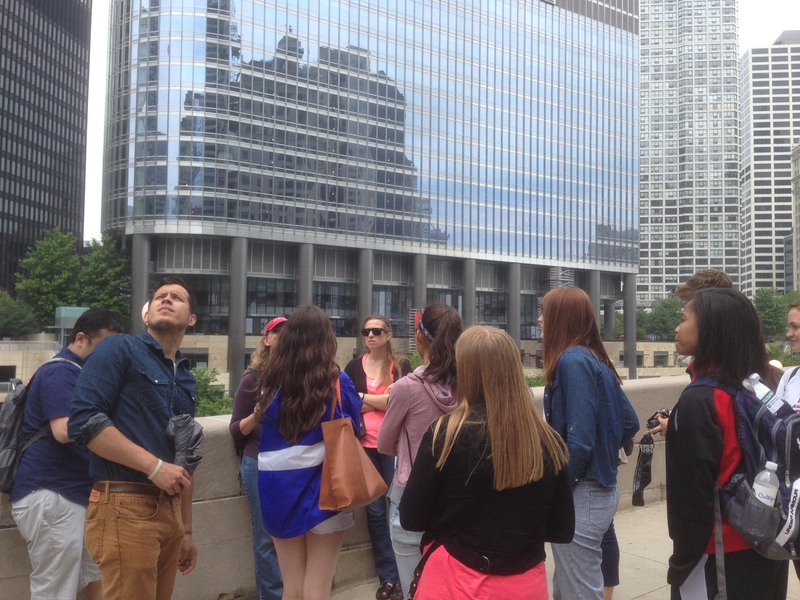 Our tour guide was hilarious — apparently she was trained at Second City. Who woulda guessed? Our tour took us to the Cultural Center: a free, open space for everyone. There is only one rule: No sleeping. 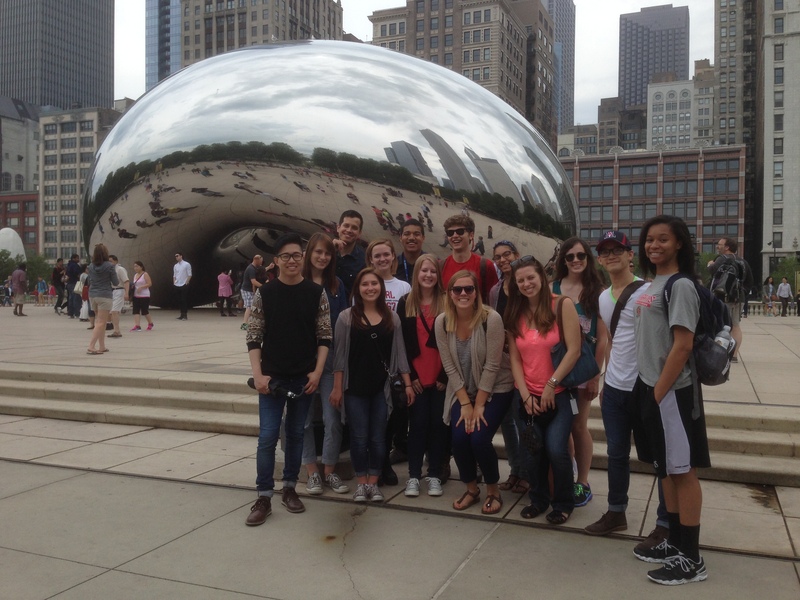 Our tour ended with a obligatory group picture in front of the Bean. Or Cloudgate. Or whichever. 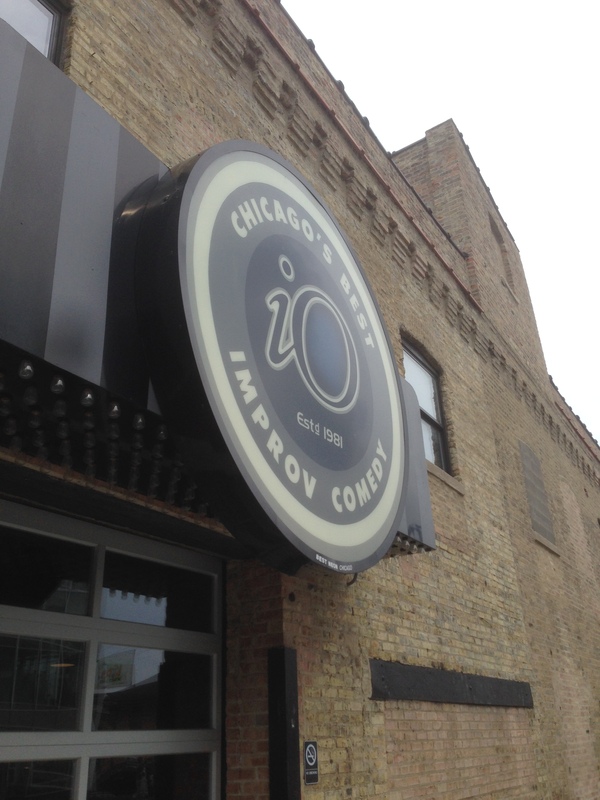 Next, we took the Red Line down to iO Theatre, to take a three-hour improv class and to watch an improv show! 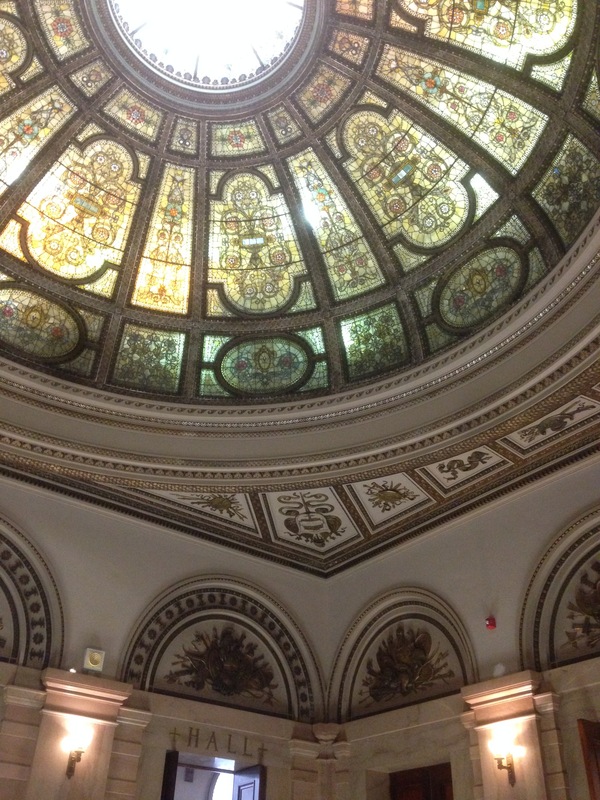 Day 2 of interning at the Chicago Tribune is in the books. 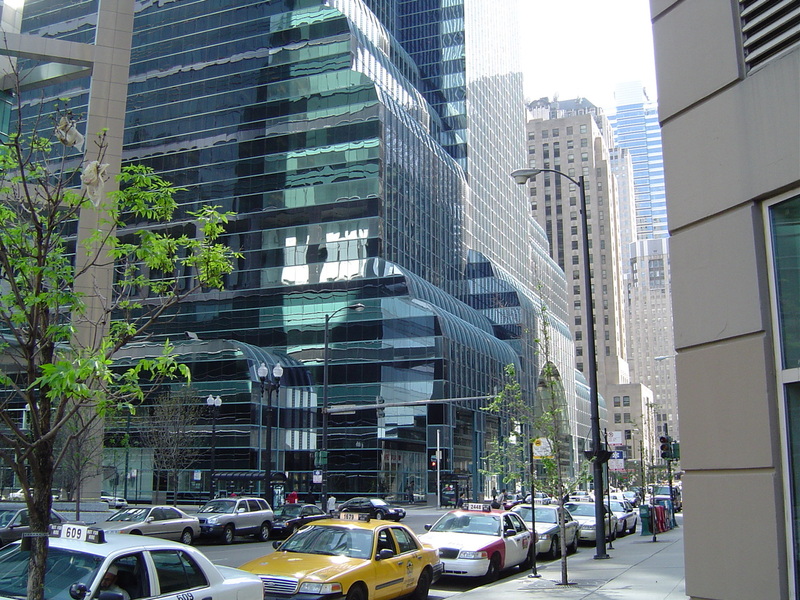 Well, every morning at around 8 a.m., I get up to prep for the day (I could walk through every excruciating detail, but you would probably have better things to read), and catch the 9:54 train from Wheaton to Ogilvie Transportation Center in downtown Chicago. The bustling center of transportation. Auntie Anne’s pretzels are right next to the trains. It’s unfairly tempting. Note to self: hold nose when approaching trains. When I get to the Tower, I navigate through the labyrinth that is the editorial floor to the design area and report to my supervisor, Chuck Burke. I’m interning with design and copy editing, so I will theoretically operate only on CCI Newsgate. These past two days, I’ve been trained how to use Newsgate. It has come pretty quickly to me, mostly because I’m a very intelligent person. Just kidding. I’ve learned how to use Adobe InDesign, and though a few basic functions are different than InDesign, Newsgate still has the same goal as InDesign. That makes it easier to understand. Some dummy designs I’ve made over the past two days. 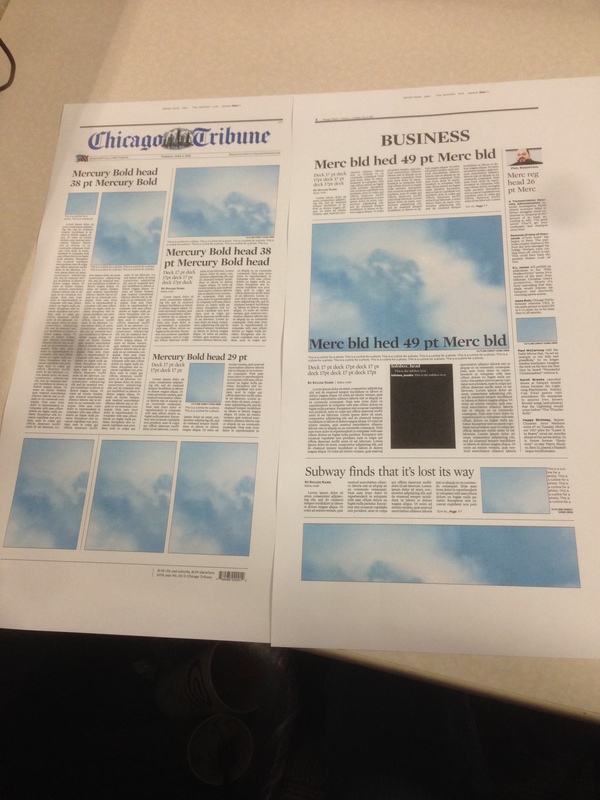 They’re replicas of pages I found in the Tribune’s past two days’ papers. Pretty good, huh? Tomorrow, I’m supposed to start my first real published design with the Chicago Tribune, in their six-page Real Estate section. Though I know next to nothing about Real Estate, I’m excited to learn about it as I design! P.S. By providing links to the Wikipedia pages of the news designing software, I’m not trying to insult your intelligence — I often ran into technical terms that everyone but I seemed to know when looking up things I should know as a journalist, and it’s just even easier, in my opinion, to give the links to the Wikipedia pages right off the bat. But whateves. First of all, sorry for not posting last night! It has been an insane night, ending with me stressing over the fact that J. Dennis Hastert was indicted for a hush money scheme, in a story that ended up on the front pages of major newspaper sites. I guess, because Denny Hastert is closely affiliated with Wheaton, I should probably do a story on him. More details to follow. Anyways! Today was a good day, even though it got stressful towards the end. 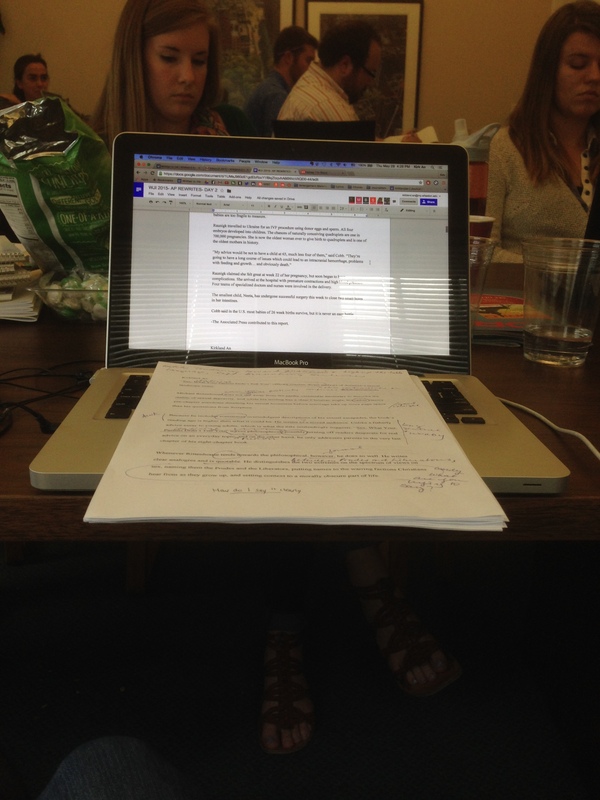 In the morning, we polished our stories pulled from the Associated Press’ website. The beast is hungry, even in the morning. During lunch, we heard from Susan Olasky, who has been sitting quietly in the back of the classroom nearly everyday. We didn’t know that she was probably the most epic person in the room. Susan Olasky wrote an investigative piece on the International Bible Society, which was secretly going to make the NIV Bible completely gender-inclusive. The basic problem with that is that World believes that people shouldn’t change the Bible for ideological reasons. Well, Susan broke the story about it and got in a whole PR mess, which culminated in ethics charges against World. In the process, she was also named one of the year’s most influential Christians. It takes a lot of courage to do what Susan did, and I really respect her for that. She stood up for something that she really believed in, and wasn’t afraid to uncover unfairness, even when Zondervan, the publisher of the NIV, was one of their major advertisers. Zondervan withdrew all its advertisements from World magazine. More respect. 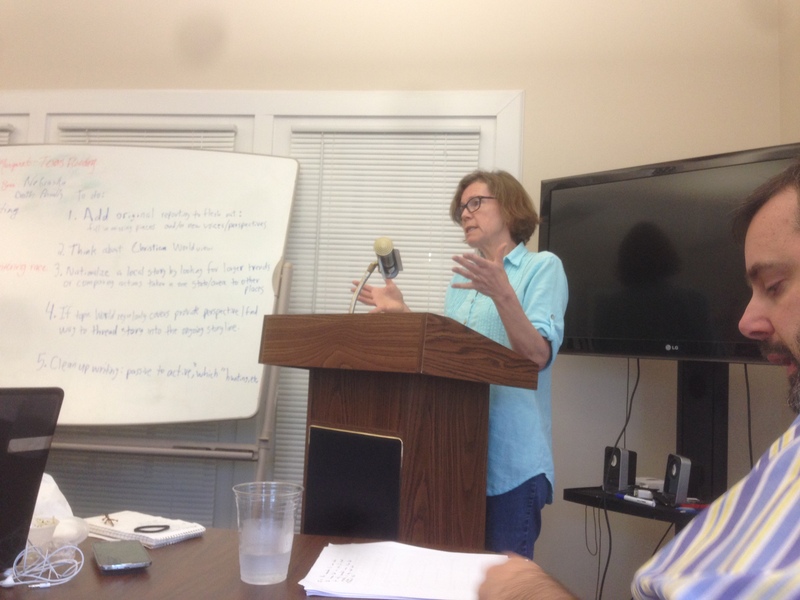 Susan Olasky, being her epic self. The result was impressive. You can read about it online, so I’ll move on to what happened after lunch. The exciting desk of a student journalist. Not sure if you can see it, but that paper is my book review. And I’m pretty sure my paper got marked up the most out of all the students. I learned a lot about book reviewing, and that is something that I think I can bring to The Record next year. We ended the day in a park, listening to Lee Pitts’ stories from when he was embedded in Iraq. I don’t think that I’d ever be able to do the things he did. The staff here at WJI is incredible. Well, I can’t NOT mention it. We are staying in a hostel, and while 99.9 percent of all the people we’ve been involuntarily bunking with have been genial, well-mannered people, there’s always an exception. Around 3 a.m. last night, we found ours, in the manner of a none-too sober guy vociferously reporting his thoughts to his bunkmates. After Evan Wilt, who is now our class hero, asked them for silence, we returned to our restful slumber. I had to say it, because that was pretty much the low point of the day. But without a low, there can’t be a high! Our learning segment in the morning was very interesting. Despite the fact that I was plagued with emails and trying to sort out logistics with The Record, I managed to glean important parts from the lesson which was on cars. No wait, sorry — CAR. Computer Assisted Reporting. In other words, how to use the Internet to help you report. I’m not going to question where Mr. Pitts found all those websites — some information that he taught us to find I thought should sometimes stay hidden — but those websites will without a doubt help me muckrake. For example, Mr. Pitts showed us how to run background checks on anyone we could get the name of. * Creepy, maybe, but helpful. It was important that I experienced this, because I learned that I do not like feeding the beast. I do not like the beast at all. I’ve — hastily — formed the opinion that only a certain few websites should really be pumping out the dozens of stories that newsrooms feel so compelled to write, regardless of the day or hour. If all the news sources are saying the same thing, then what’s the point of repeating it again into the depths of the Web? But I understand it’s necessary and that World’s readers are looking for a specific angle on world events. I respect that. 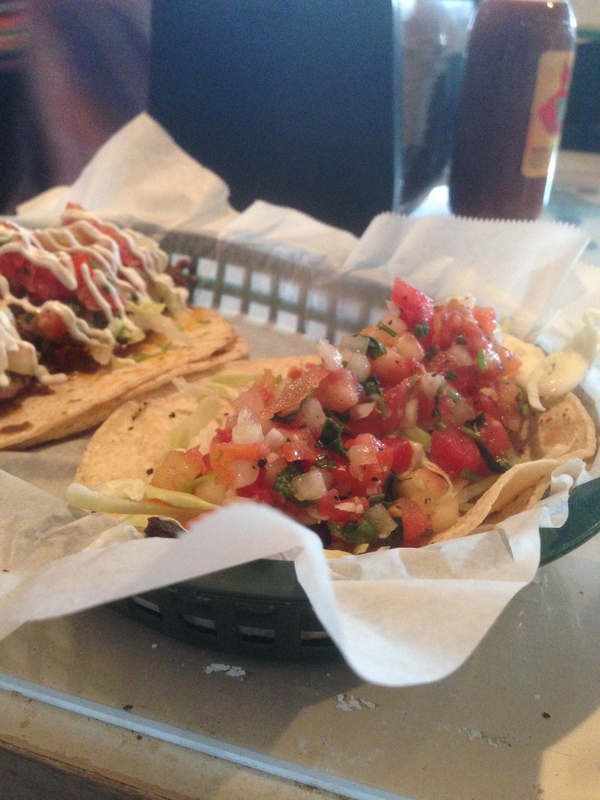 That, ladies and gents, is a fish taco. Nothing special. Except for how amazing it was. *Don’t get overzealous on this site: It’ll ask you for money once you dig far enough. 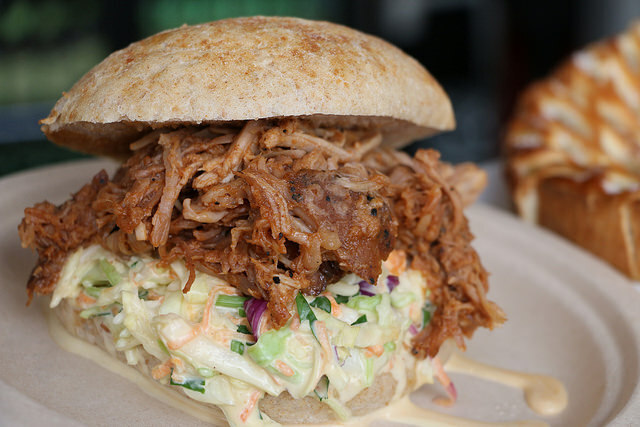 WJI — Day 8: PULLED PORK SANDWICHES = FREEDOM = ‘MURICA!! I lied. That is, any hint that I might have given off that WJI is not fun was false. I also lied to a few people who have been keeping up with me that WJI was all work, no play, even on Memorial Day. Sorry. Please forgive me. While it’s true that we worked on our obituaries some more, we stopped at 4 p.m. and travelled to Kevin Martin’s house, the CEO/publisher of World Magazine for a North Carolina-style barbecue cookout. Now, apparently — and this is news to me — barbecues mean different things depending on which part of the country you’re in. And in North Carolina, barbecue means pork. Ok, that’s not that exact sandwich. (I found that image online. Shame on me for not bringing a camera.) But we did have delectable pulled pork sandwiches with cole slaw, cooked up mostly by the generous Mrs. Martin (who I learned reads this blog!!! I’ve made it big!!!) . We indulged in a little disc-tossing and soccer-playing, which resulted in sweat, blisters, and me wishing that I had brought some sneakers. I think that this very refreshing weekend and overall fun Memorial Day has recharged me and prepared me for another six days of hard work. Two days ago, my journalism advisor at Wheaton emailed me, asking if I recommend the program to other Wheaton journalism students. I think my answer is yes. Guess it’s also true that you can win someone over with an amazing home-cooked meal! 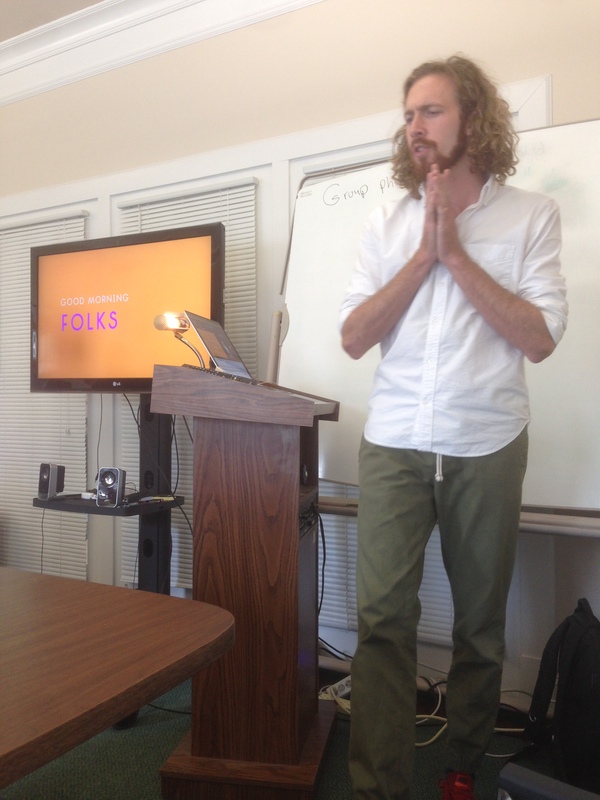 If you haven’t already seen, check out photos of my past week here in Asheville, NC. You can see them here. Photo credits to John B.B. Photos, at flickr.com. While the pulled pork sandwich in the photo looks great, I have to argue that Mrs. Martin’s was better. Five days of hard work and then a weekend of rest, right? Not at WJI. Another 24-day means another 24 hours that we could be using to make another journalistic project! In all seriousness, though, I am very glad that we undertook this project. That’s really only something that I can say now that I’m done with it. 1. In the morning, we had our general meeting at 9 a.m., and listened to each other’s radio pieces from the day before (the one with the attorneys — this will make a lot of sense if you’ve been following this blog for the past seven days) and critiqued them. Lesson learned: ambience audio is invaluable. It smooths transitions between studio and field clips, and it makes the entire piece more believable and easier on the ears. 2. We were assigned to create SoundSlides presentations (photographs with self-recorded audio overdubbing them) on subjects of our choosing. That gave us a lot of freedom. I visited the Kenilworth neighborhood, after hearing rumors of an art walk. I’ve never experienced an art walk before, so imagine my surprise when I was told we were supposed to enter people’s houses in search of their art. To be honest, it sounded like a huge invasion of privacy — and maybe it felt somewhat invasive to some residents — but I’m very glad that it was structured the way it was. 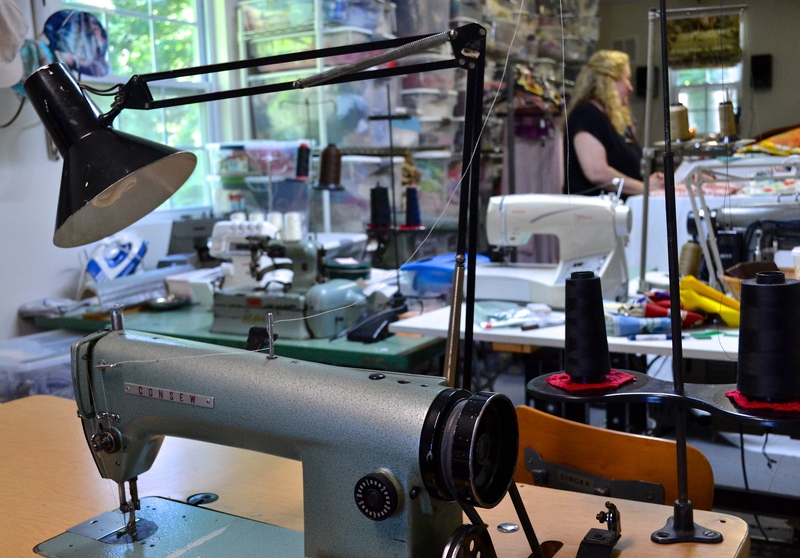 Kathleen’s studio, complete with a very intimidating sewing machine. 4. Stumbling back around 4 in the afternoon, we began to compile our images, write our scripts for the SoundSlides presentations, and record our voiceovers. I’ll be honest — this process was very hard for me to complete, for various reasons. The editing was like none I’d experienced before, but I’ll attribute a lot of the slowness and frustration to my own lack of sleep and general impatience. Lesson learned: get sleep, be persistent and trust your editor. Once I figure out how to get media other than pictures up on this blog, I’ll happily upload my radio piece and this SoundSlides piece. Would love to get feedback on them! When I pictured a drum circle in my mind, before today, I definitely envisioned a sort of ordered, stately ring of neo-hipsters with turbans beating small djembes and a string of women in flowing robes dancing in line to a choreographed beat. If you have not experienced a drum circle, let me enlighten you: it is not so. It’s more like this. Yes, all the neo-hipsters were there. There were two or three turbans present and accounted for. But in the inky blackness of Asheville’s downtown, with only two or three street lamps keeping me from tripping over the craggy town’s center, there were no such stately rings or choreographed movements. It was sweaty. The drums were not in sync. I couldn’t name half of the instruments being abused over knees, under feet, and against rocks. It smelled pretty illegal. But it was visceral, human, tribal. It was refreshing. That was our destination tonight, right after feasting on prime Asheville pizza at Mellow Mushroom. I was in the middle of the dance ring, up in the drummers’ faces, and perched on top of rock outcroppings trying to capture the intensity of the moment. You can be the judge of whether I did that or not. But right before leaving the World News headquarters for the Mellow Mushroom, we were with the slow-to-speak, quick-to-listen Nick Eicher. In the morning, we formed what I was told is called a “gaggle”: a huddle of reporters all fighting tooth and nail to get the best position for their microphones and shouting over each other to get their questions in. Our victims: Jordan Lorence and Matt Sharp, two real attorneys working on the Religious Freedom Restoration Act (RFRA) case in North Carolina. Upon further research, I have discovered that the term “gaggle” is also used to describe a group of geese. I wonder what that says about journalists. Thus, we all had to scratch up different, creative angles on the story that we were supposed to write about. I plan on adding a sample of my radio broadcasting, and I’d love to hear feedback, as soon as I can figure out how to post audio files onto my website. What a day, though! I’m tired, but very, very grateful to have learned what I learned today. I’m branching out and exploring very different areas of journalism, and was even commended for my work by the amazing Nick Eicher.